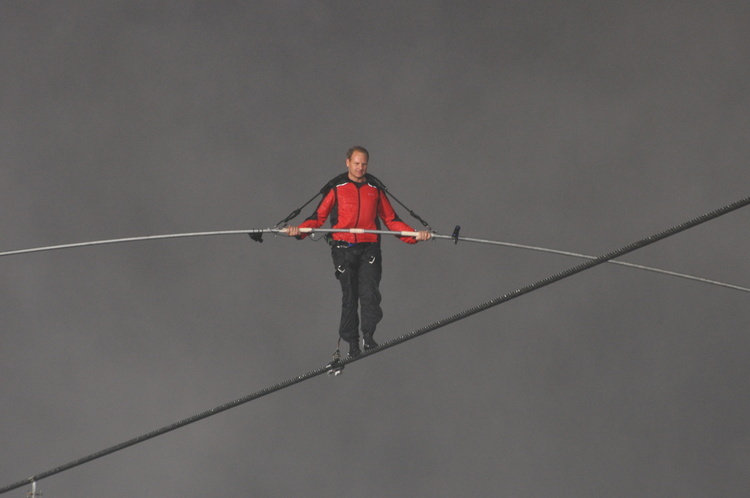 Nik Wallenda on the tightrope over the Horseshoe Falls. He was the first person in over 100 years to cross the gorge on a tightrope and the first to go over any portion of the falls. He began his walk on the American side at 10:15 p.m. and completed the walk in 25 minutes.